An online petition has been started to commemorate the message of peace captured in a poster created by Martin Richard – the youngest victim of the Boston Marathon Bombings. 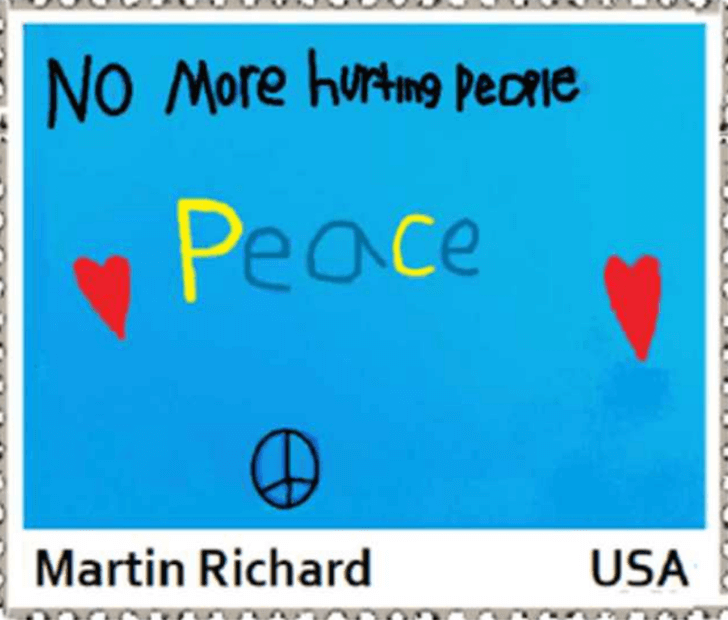 “World leaders can’t seem to get us to a world free of war and hateful people can’t seem to find resolution or peace without deadly violence against innocent others, but maybe Martin’s simple message will help get us one step closer,” the petition reads. Organizers hope to reach 7500 signatures. On Thursday afternoon, nearly 6000 people have signed the petition including Bill Richard, father of Martin. MR8: Autumn Service Day! Volunteer!